When I lived in NY I had a French roommate with a beautiful accent. One day he came up to me and said, Hadar I’m really angry! After providing a few lame excuses of why the dishes are still in the sink, he’d laugh and say – no, not ANGRY, HUNGRY! Let’s get something to eat. Of course, it still sounded the same to me. 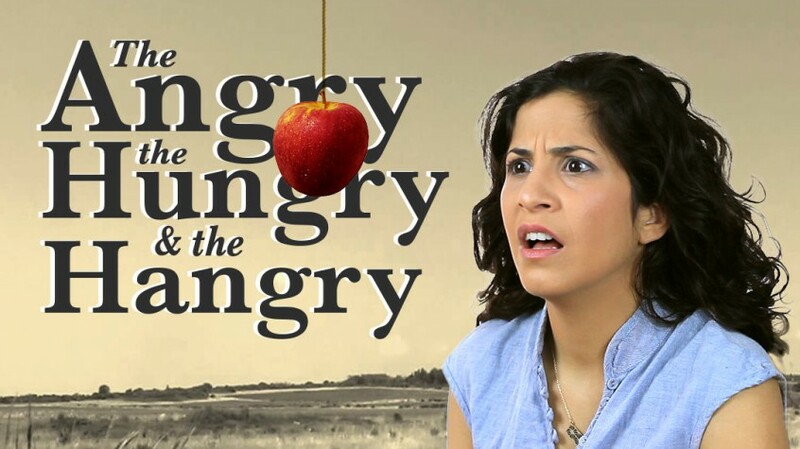 Why do the words ‘angry’ and hungry’ sound similar sometimes? And did you know that there’s a new word in English – ‘Hangry’? Care to know what it means? Thank you for watching. If you think any of your friends is going to benefit from this, please share it with them! What’s your biggest frustration with your accent and/or with English? I’d love to hear from you! Please let me know by email, or as a comment below the video. Next week we’re going to talk about the word…’mirror’! And I have to tell you, it’s much easier than you think. Let’s begin with the Schwa – I know it’s complicated. When you try to detect the Schwa here’s something that might help. It may appear in words that have at least two or more syllables (that’s because a word with one syllable has only one stress – primary). There are no exact rules, at least not simple or consistent ones. I suggest first to find the primary stress (the most dominant syllable in the word that can never be reduced), then check if the remaining syllables are essential, or can be reduced. If you reduce them and it sounds funny, it probably needs to be a secondary stress – a pure vowel that is not stressed. If you reduce it and it sounds ok, or even better, than it’s probably a Schwa. As for the flapped T – What’s difficult about it? Pronunciation or knowing when to use it? Could you please let me know how to pronounce “authorization” and “authority”? Sure, thanks for the suggestion! Hi Farhan, I already saw your request and made a video for you! It will be published in the next few weeks.